We’ve all had times when we’ve had someone on our team who was really difficult to work with. It may have been a style difference. It may have been not seeing eye to eye about how the work should be done. It may have been that he resented you as the new leader of the group. Whatever the reason for the difficulty, the individual made our work day less pleasant and our job as a manager more taxing. 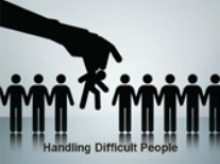 I recently had a client who had several difficult team members. They were long-term members of the team and she was the most recent in a long-line of managers who were only there a short time. In my opinion, she received some really bad advice about how to handle them. “Ignore them,” the advice-givers said. “Don’t meet with them.” “Communicate through email”. “Focus only on the rest of the team.” Wrong. All of these tactics did nothing but stoke the flames. Sometimes, difficult employees can be a bit like the bully on the playground. They look for signs of weakness — like ignoring them or cutting off communication — as signs of managerial weakness. Instead of pulling back, I would suggest engaging more. Diffuse the situation by talking with the person about him or herself. What strengths does he or she have? What areas does the individual want to develop? What does she enjoy about their work? What does he dislike about it? What’s important to her? Is this a job or part of a career? Discuss how you may be able to leverage the person’s strengths or develop areas of weakness. Think about whether things in the job or work environment can be changed. Sometimes the difficult employee has never had someone ask those questions. Set clear expectations for behavior and results. Share your vision for how the group will be operating. Let him know you will be holding everyone accountable to those standards and they will be a regular part of your conversations. Value the individual’s experience and knowledge. She may very well have several performance issues but she also probably has valuable knowledge or experience that can be a benefit to the group. Ask for insights and ideas about changes you want to make or how to introduce an idea. Meet regularly. Focus on the work that is being done, issues you can help resolve and moving towards that vision. Hold the individual accountable. Provide specific feedback — both positive and developmental. Cut off whining. If the person begins to complain, move the conversation towards finding solutions. Anyone who has hired people over any length of time has had this experience. The person seemed so perfect in the interview only to be far less than perfect once he was on the job. Truthfully, if we conducted any other part of our business the way we approach hiring and interviewing, we would be fired. I know very few people who approach interviewing with the structure and focus it deserves. We start with a list of job duties and solicit resumes for people we think may be able to perform those duties. We then schedule interviews. We may include some other people to also interview the candidate. We often choose those people because they are who is available that day. Some people may spend a few minutes before the interview thinking about what questions they will ask the candidate others will wing it. We talk with the candidate for 30 minutes, maybe 45. After the interview, the feedback tends to be a quick hallway conversation about our general reactions to the candidate. We don’t really spend any time talking about what we are looking for in the candidate. We don’t talk about what kind of experiences we think they need to be successful. We don’t talk about the factors that really make someone successful in the job but aren’t in the job description — things like collaboration or teamwork or being a self-starter or one of a hundred other possible things that really make someone successful. If you’re going to be hiring this year, turn the usual process on its head and actually approach it like a critical business process. Plan for the interview. 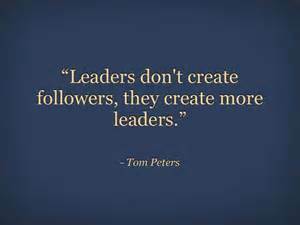 Identify what will make someone successful in the role. This should lead to a list of characteristics, competencies or experiences that set a successful candidate apart. When combined with skills and educational requirements, these become the criteria you’ll use to make the decision. Involve people in the interview who will interact with this person in a meaningful way once he or she is on the job. They should know something about the role and what people do in that role. 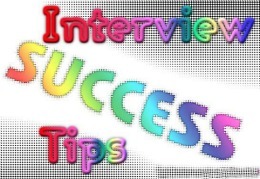 Prep the people who will be interview the candidate with what types of things you want them to look for in the interview. Tell them what the most important characteristics, competencies or experiences are that you want to see in the person you will hire. Go back to the criteria you set before the interview. Meet with everyone who talked with the candidate and talk about how the candidates stack up against the criteria.